From Game of Thrones, to Dracula Untold, to even TV shows like Line of Duty and the acclaimed movie Good Vibrations, Belfast is becoming a place that many people are starting to film in, and for many good reasons. 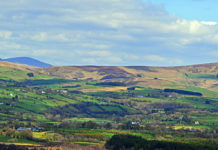 Northern Ireland is the most compact 5,196 square miles of back-lot in the world — offering myriad stunning locations from beautiful coastlines to idyllic villages, mountains, glens and loughs, through to urban landscapes and bustling cities with a diverse mix of architectural styles, from Victorian red-brick to 21st-century glass and steel. The bustling city life can be a great place to set an action scene, or even the serene countryside life can provide a relaxing background. This guide is dedicated to the average or more dedicated movie lover, who wants to experience the locations of their favourite shows and movies. If you’re also looking for local insight, then you’ve come to the right place as this article was written right here in Belfast. So, enjoy this guide to the amazing movie history Belfast contains. Come along with us as we explore some of the most recognisable places in Belfast and a little further afield. These movies and television shows have put Belfast on the world stage, showing off its amazing beauty and history of the city that is not to be missed. So even if you don’t want to go there to experience how the movies were shot and where the scenes took place, it’s still great to experience to explore these famous locations. The Dark Hedges has become increasingly famous over the last few years, with many tourists come from all over the world to see the beauty of locations across Northern Ireland. 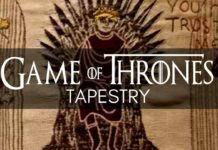 But many will be coming here due to the hedges appearance on the very popular American Television show ‘Game of Thrones’. Game of Thrones fans will be totally intrigued by this impressive natural landscape that played an iconic role in the Television Series. We can admit that the shots used in the television show, and the inclusion of the hedges is a stunning touch. The road is for pedestrians only. So keep this in mind before you start driving down the road by accident. However there is parking nearby at the dark hedge’s hotel, so you can park there to keep your car safe. These hedges are located in Ballymoney, right outside the Gracehill house which is worth taking the trip to. However, I’m not sure if it is something you’d want to do right away as there are locations that are closer to Belfast. Crumlin Road Gaol has always been a popular attraction for many tourists alike, it is especially popular during the night of Halloween as the prison is rumoured to be haunted (with quite a lot of pictures of ghosts mind you). So if you’re quite faint of heart then I’d say leave the scary tour for those who are looking to indulge themselves into the famous ghost stories of the inmates. Although there are regular tours which take place throughout the year which explore the interesting history of the gaol. However, if that’s not your cup of tea then try some of the amazing food at Cuffs Bar and Restaurant located at the gaol. (personal experience, the food there is 10/10). However, you might be kind of uncomfortable eating food in a place where people were once executed but honestly, the food is worth it. The Award-winning British Film chose the Crumlin Road Gaol as a filming location for different scenes. The prison played the perfect backdrop for the film which includes rising star, Jack O’Connell. The main areas used in filming were the cells, corridors and the courtyards. Although you won’t be able to access some of the parts of the gaol featured in the movie, however, the experience of the prison alone will be enough to make up for this. Crumlin road gaol is quite easy to find if you’re looking for it, it is at 53 – 55 Crumlin Road Belfast, County Antrim, BT14 6ST. This should lead you right to it on google maps. Planning a trip? Visit the attraction’s website to see what’s on! Castle Ward is a pretty big part of the Game of Thrones series, with many episodes and major scenes taking place there. The castle is almost 300 years old and is still in great condition today which is interesting in itself. The castle offers tours and even glamping services if you’re into that, however, make sure you have some money on hand as the tour and everything else is quite pricey. The episodes of Game of Thrones which were shot at Castle Ward have attracted many visitors and has only got more popular since its appearance. The locations of the scenes that were shot inside can all be found and explored, Such as the Historic Castle Ward Farmyard that played the location of Winterfell which was featured in much of the first season. Even without its feature on Game of Thrones the castle was always interesting and beautiful attraction that offers lots for people to uncover. The castle is located 1.5 miles from Strangford and is about 820 acres of land. 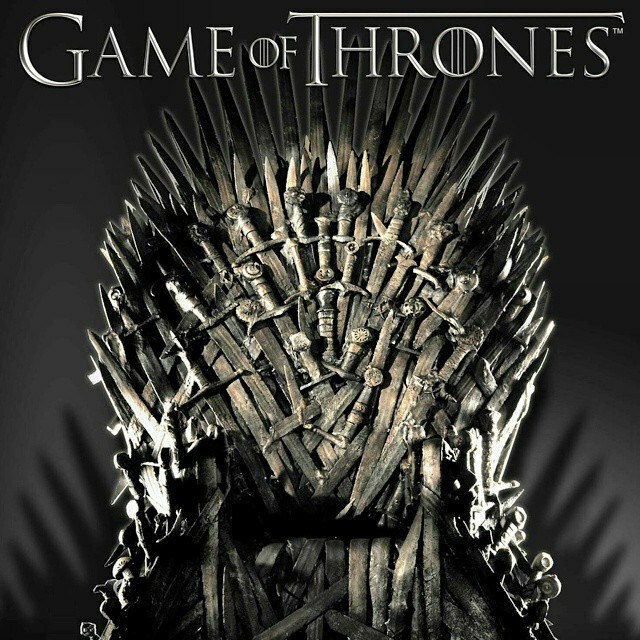 For loads of Game of Thrones content, check out HBO’s own GOT website. Roe national park is an absolutely amazing place, its scenery is beautiful and set a very good-looking scene for Dracula Untold. Now this movie obviously wasn’t the best, but the locations used in it were stunning, with its beautiful riverside views, it makes it good enough to go to and admire the beauty of the park. The park offers many options for those who would be disabled. For example, anyone who may be blind can listen to an audio recording while walking with someone and there are wheelchair ramps for those who need a wheelchair. 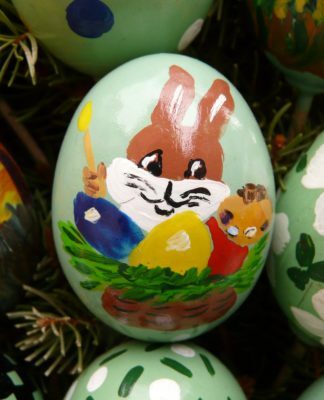 The park can be located at 41 Dogleap Road, Limavady, County Londonderry, BT49 9NN. If you’re a fan of the movie or the real-life record label, then you should know that the shop had closed down for good in 2015. That’s why I didn’t want to include them on the list, but the lyric theatre; what kind of person wants to stand outside a shop and just look at the exterior when the real magic and atmosphere happened inside. However, if you are the type of person that wants to see the original shops, one is located at Great Victoria Street and although I couldn’t find the location of the second shop, the third shop opened up on Winetavern Street. If you want to learn about the history of the label, then you can find the information anywhere in Belfast, as the label and even the man himself, terri hooley, are both regarded as a local legend. 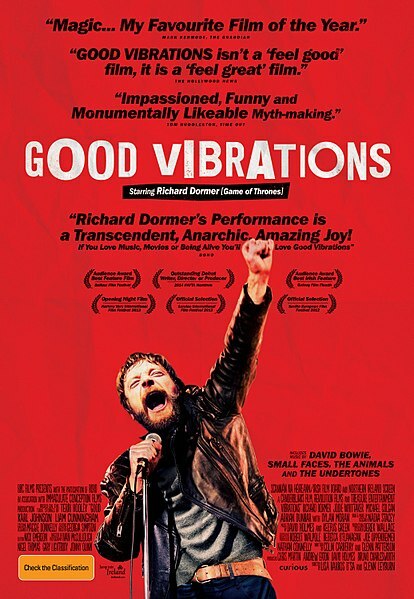 The Lyric Theatre sometimes shows the play of Good Vibrations; as per such if you can’t manage to catch a show at the lyric the movie is still something you can stream or buy. The Lyric Theatre is located at 55 Ridgeway St, Belfast BT9 5FB. For what’s on and tickers: see here. Inch Abbey is a church that was founded by John de Courcy. Game of Thrones used this place to shoot some scenes for when the story takes place in Winterfell however, some people say that when they visit it, it doesn’t look enough like how Winterfell was portrayed in the show; so be aware of that whenever you go to it. the Cushendun caves were formed over 400 million years because of extreme weather conditions, they were also the caves where Melisandre gave birth to a dark spirit in Game of Thrones. These caves are a very popular attraction for Game of Thrones fans as the caves are fun to explore and look amazing on the inside. Many people who visited this say that the location is iconic enough so if you even approach the caves it feels as if you’re in the scene. There aren’t that many people in the caves, so the absence of people is something you can use to take breathtaking photos. And for those who are interested, there is a door of thrones located nearby in Mary McBride’s bar. You can also find another attraction, the famous sculpture of Johann the goat – a renowned resident of Cushendun. 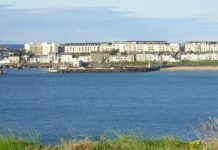 The Cushendun caves are located at 5 The Bay Apartments, Cushendun, Ballymena BT44 0PE. 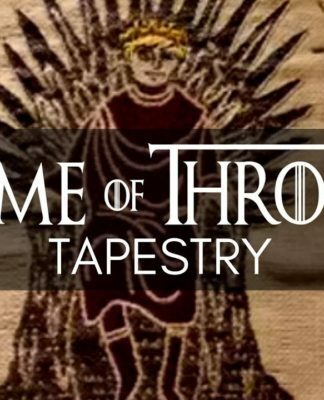 Want more on NI and Game of Thrones? Click here for FREE guides. The lost city of Z is a movie with James Grey as its director, along with actors such as Tom Holland, Robert Pattinson, Sienna Miller and Charlie Hunnam. It is mainly shot in Belfast and has gained a lot of local respect due to this. 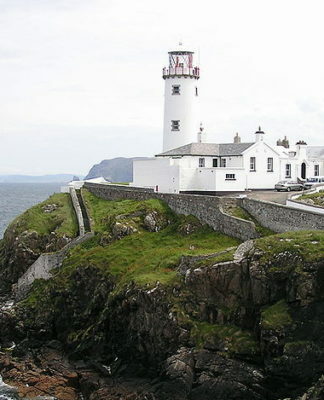 The movie has locations such as Belfast city hall and Strangford as the movie is mainly set in Belfast and has a lot of locations here, like botanic gardens and the Somme nursing home. The city hall faces north and divides the commercial area of Belfast from the business area of Belfast. The city hall began planning in 1888 and was built over 8 years from 1898 to 1906. 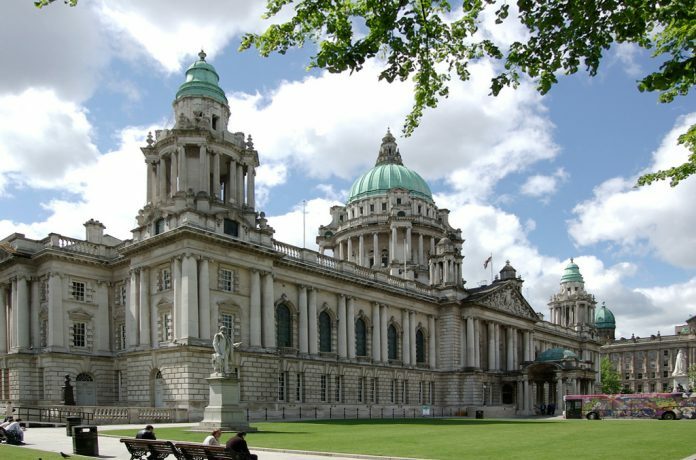 Belfast city hall can be easily found in Donegall square. You really won’t miss it, it’s the most obvious building in Belfast. 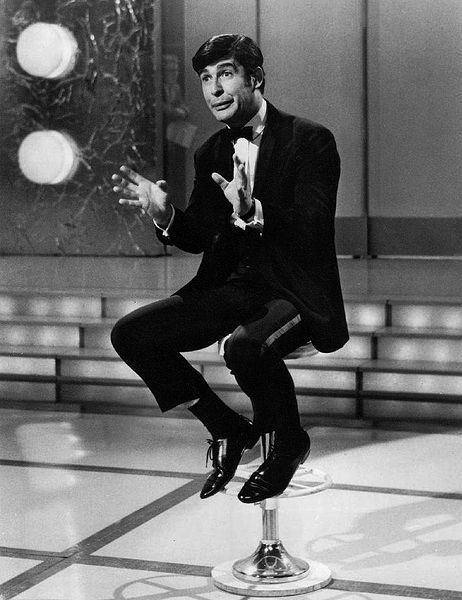 Dave Allen at peace doesn’t have many locations as the movie is entirely set up to tell the story of how he became the most successful (and complained about) comedians on the BBC. The movie has scenes shot in the Ulster Folk and Transport Museum, which in itself is something that anyone should visit if they want to experience the history of folk and transport in Ulster and Belfast, or even get involved in some activities that can be extremely fun and interesting. The museum has self-guided tours, so you can walk around at your own pace and not have to worry about keeping up to the guide. It has areas you can stop by if you want to get some food to eat and drinks to drink. if you’d like to see what the folk and transport museum has to offer, check out their website and maybe make some plans! The museum can be located in Ulster Folk and Transport Museum 153 Bangor Road Cultra Holywood County Down BT18 0EU. Hellboy 2 Has a sequence set at the Giant’s Causeway, as a matter of fact, its where the climax of the movie takes place. 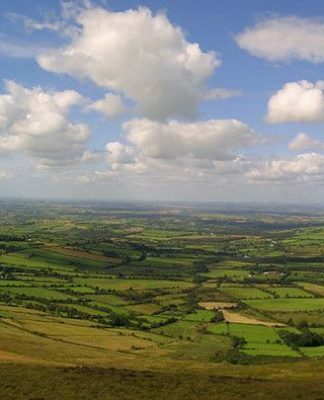 However, in the whole scene, the cast never even stepped foot in Northern Ireland for it as they were superimposed onto aerial shots that the crew took. Regardless of that, this area is still an outstanding place to visit and is an extremely beautiful area too. Now you may have heard there are ways to get into the causeway for free and sure you can go do that, but I cannot stress how much the money helps the volunteers take care of the place. For every one pound they receive, they can plant one native wildflower plug. Every £6 they get they can repair a metre of livestock fencing. The money they earn from this site also goes toward their national fund which helps every other site and vice versa. with that out if the way, this is definitely something that not only you should visit while you’re in Belfast, but it should also be on your bucket list as it’s that beautiful. 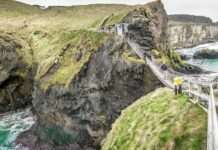 The Giant’s Causeway can be located on the along the sea coast of the edge of the Antrim plateau, or you can get a tour from Belfast which will take you right to it. 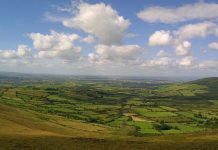 Belfast has many more movies and TV shows shot in it, and this list doesn’t even scratch the surface of the amazing places and attractions Belfast has to offer. If you’re a fan of most of the movies on this list, then go on ahead and check out some more of the movies the place has to offer. Or take a visit to the city to experience these locations that you might just have seen on TV in real Life. We promise you won’t regret it, Belfast and the surrounding areas offer something special for visitors. Written by ProfileTree placement guest writer (and local movie fan!) Dáire Cullen.